Our Mums Night in Hamper is perfect for to spoil Mum this Mother&apos;s Day. 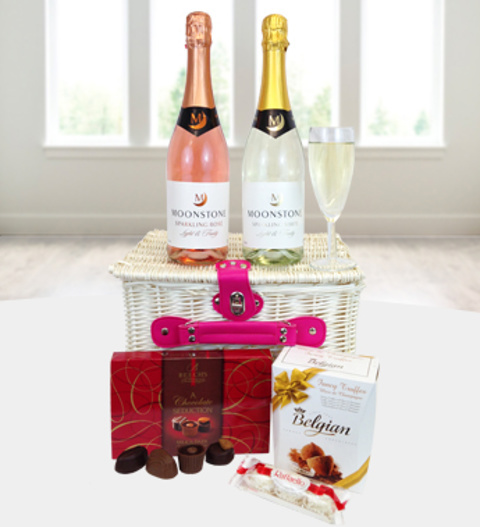 With two delicious sparkling wines, luxury champagne truffles, raffellos and fine delicious Belgian chocolates, this really is a gorgeous gift to pamper Mum! Presented in a handmade white and pink willow basket, the basket is sure to delight! The Mums Night In hamper is available for UK next day delivery.